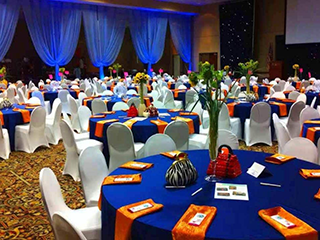 Did you recently attend an event and were intrigued by event planning? Event planning can be a fulfilling career for you if you find satisfaction in creating memorable experiences for people. There are various types of events that one attends during a lifetime. At Right Angle Events, we focus on corporate events, exhibitions, festival/arts project and product launches. Corporate Event planning is a great way to boost your resume and earn more money from event planning. Corporate event planning comprises of, but not limited to, award ceremonies, conferences, galas, fundraisers and office parties. 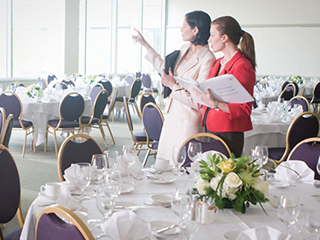 Corporate event planning comprises of larger attendance and, more complex and dynamic operations. 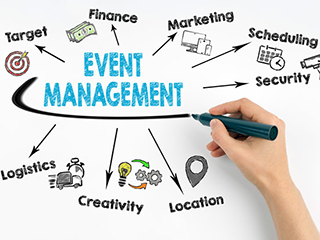 The most important attributes to be a corporate event planner are project management and event coordination skills. Along with this, corporate event planning is your chance to grow your network. 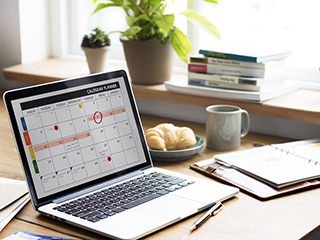 Taking the plunge into corporate event planning will also help you to learn about the planning process for corporate events, the important industries and how their businesses run, which helps you meet and discover new clients. Similar to other event planning, corporate event planning also requires you to have key skills such as interpersonal skills so you are able to manage people, organization skills to meet all the details for a successful event, creativity for you to meet specific corporate needs and networking, solely because you are exposed to corporate environment and will be able to build more confidence. Corporate event planning will teach you a lot more about dealing with people, managing presentation materials and also incorporating promotions to improve client’s brand.